Rockland P.L.U.S. 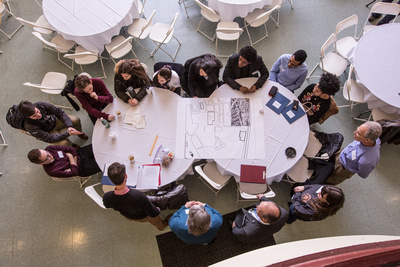 (Planning Land Use with Students) is a program for high school students to make connections to real-world planning issues and decisions, share their ideas and vision with their peers and mentors, and learn more about careers and their own leadership potential and strengths. This is a collaborative partnership of Columbia University Lamont-Doherty Earth Observatory, Keep Rockland Beautiful, Rockland Conservation & Service Corps, St. Thomas Aquinas College, & Rockland Economic Development Corporation.